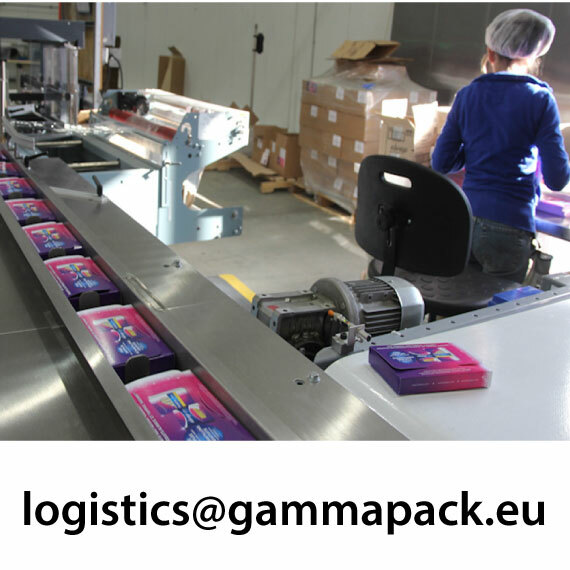 Truly international company and part of Solomonto Investment Holding AG – Switzerland, Gammapack is delivering packaging to most countries in the EU, offering a wide range of packaging for all markets - food, drinks, medical, industrial, postal, transportation, advertising, agricultural and other areas. We mostly produce and deliver per order, however we can store stock packaging for some generic products that are often used in small quantities. As a specialized packaging company, we offer solutions to each customer requirement, at the most competitive prices in Europe. Additionally we work in partnerships with companies from all over the world to offer their products and thus achieve greater economic efficiency so we can cover our customers with the full range at the competitive prices they are after. Well established company on the Italian market for packaging, successor to the packaging division of PARMALAT and with offices now in major EU countries, we develop new markets and products constantly so we can stay ahead of the competition. Therefore, we always give attention to detail in future market prospects, our competitive advantages and our partners and associates. In addition, we try to utilize as much as possible the equipment and the sales network we already have in other European countries, Russia, MIddle East and Africa so we can achieve short delivery times and decent price levels. As we operate in an international environment, we have established links procedures according to the most common international standard such as ISO and HAACP so we can cover customer expectations. Moreover, we can provide certificates of origin for our raw materials, as well as complete material and resources tracking along the manufacturing process. As an option, we offer FSC and other environmental eco-certificates. We can easily manufacture standard size products, however the specialities have become our speciality. Whether you need special papers, sizes or new features, we are ready to do whatever it takes to meet your demands. 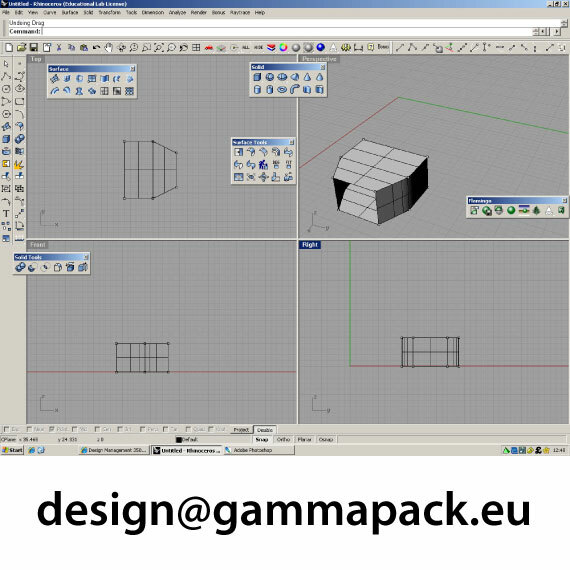 Thus Gammapack prides itself on manufacturing to the customers' needs and specifications. We also offer quick turnaround times of custom and standard orders in quantities of 1,000(custom orders) to 10 million for the standard order based production. We also keep stock of most common standard packaging we sell. To provide complete solutions to customers for paper, plastic, carton, corrugated metal, glass and wood box packaging at the most competitive prices in the EU, with great customer service and fast delivery, thus allowing us to achieve at least 20% turnover growth each year. In the long term, we aim to constantly develop new products, markets and at the same time add new product innovations to the markets we are already operating in, so we are satisfying the customer needs to the best way we can, at the most competitive price on the market. As part of the modern global economy we realize that we need strong long term partnerships with companies in the packaging industry so we can compete in the ever growing international competition for all types of packaging. As a result we have cooperated with numerous companies from around the world so we can offer their products at lower prices than we can achieve and at the same time provide them with products we are competitive for, thus allowing both sides to remain on the market with good prospects for the future. If you think you can offer us a type of packaging we can market in Europe, Russia and the Middle East or interested in a long term partnership for products we produce, you can always drop us an email with description of the company, the offer in question and contact information, so we can consider it and write you back in return. We realize that the most important asset of a company are its people, both sales and technical staff. Therefore we are always open to hiring new people on board who have experience with the packaging industry. We look for both sales people with good networking abilities and contacts and technical people with appropriate technical and specialized packaging material knowledge, so we can expand our range of products and base of customers. If you think that you can contribute with your skills, knowledge and contacts, please send us your resume and we will call you in case of need. We are constantly on the lookout for talented sales people, account managers and technical staff so we can expand our portfolio of products and customers. In case of interest, do not hesitate to write so we can file your application and contact you in case of interest. Office tasks and administrative management and coordination of the sales offices. Managers with responsibility for the sales team and customer relations in the company. Responsible for partnerships, new catalogue offerings, general enquiries and customer complaints. Structural and graphic design, technical and manufacturing help desk, advise on packaging construction.